Is the Future Bright for Nano? Nano (formerly RaiBlocks) is a cryptocurrency with a refreshingly simple mission: become an instant, zero-fee, scalable currency. No elaborate smart contracts or AI neural network tokens, nothing fancy — just a straightforward vision and some very interesting tech. Nano tends to evoke a lot of excitement because it rethinks some fundamental challenges in a way that provides unique and powerful benefits. Some (this is obviously open for debate) have called it objectively the best pure cryptocurrency out there. As it is based on a DAG (directed acyclic graph) algorithm along with “Block Lattice” code, Nano faces different challenges than most other cryptos. Transaction speed and scalability are effectively non-issues in comparison to many of Nano’s colleagues. But Nano has run into its own set of challenges. In the following, we’ll take a look at the Nano roadmap, recap some recent developments and offer a few thoughts on the future of the project. For Nano, future development – particularly protocol changes – are less urgent than for most other cryptocurrencies. That isn’t to say there aren’t hugely important improvements to be made but there isn’t this sense of a grand vision bottlenecked behind that one sticky problem or upgrade. The issue for Nano is adoption and getting the currency live on more exchanges (along with continuing to build the infrastructure). And to this end, they ditched their previously technical-sounding name RaiBlocks and rebranded as Nano. After they did this, their price, which had been relatively flat for most of 2017, surged 41% in 24 hours. This made a lot of people stop and take notice. Unfortunately, what was by most accounts a very successful rebranding was followed by news that 170 million worth of NANO was lost through the BitGrail exchange. This quite predictably sent a shockwave of accusations and uncertainty through the community and their coin price, which had already fallen from its January ATH, continued to slide. The BitGrail situation is extremely unfortunate, but it has not impeded the project. As far as protocol development and overall project milestones are concerned we have continued to move forward. The Nano core team cannot obviously be responsible for 3rd party actions but that didn’t stop some from airing hysterical “it’s the devs fault”-type accusations. But where are things a few months after this bomb went off? Like it or not, this event had an impact on Nano. Exactly what that is is hard to quantify but it’s hard to find positives. As things stand today, the price has dipped below $4, regret is openly being discussed on the Nano subreddit, and it does not feel as if much progress has been made on the marketing & adoption front. In sum, there haven’t been any big wins recently. On the other hand, despite a precipitous drop in price and some unfortunate events, the promise of Nano remains intact. Nano seems to have attracted many newbie investors during the hype of late-2017/early 2018, which has led to some potentially overblown reactions to recent events. The more experienced hands won’t assess the current situation and conclude the sky is falling. In fact, many of them are probably focusing on the longer-term prognosis of the project, buying back in or otherwise doubling down on their position. So, with that in mind, let’s review the Nano roadmap and discuss other notable technical updates. 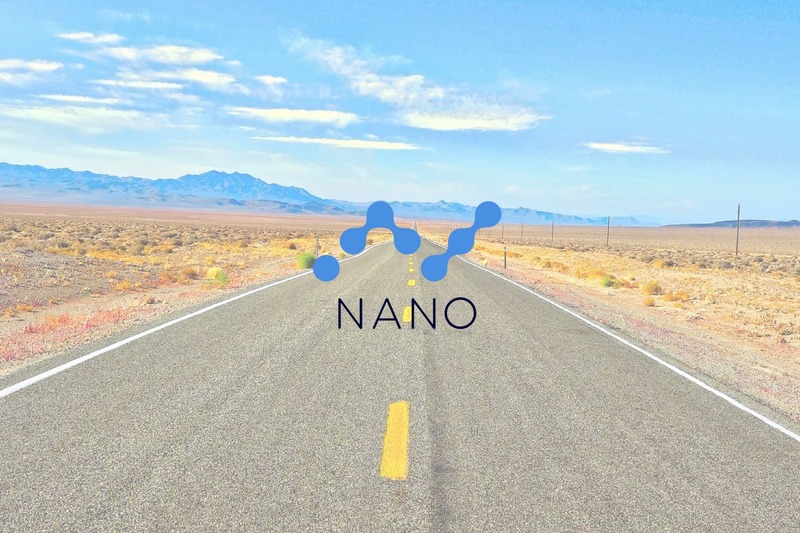 Nano’s roadmap is much more interactive than many other crypto projects, letting those interested in the project explore the nuances of their plans. To review it in-depth, click here. Under the adoption section of the roadmap, the Nano team has outlined a few primary targets. Nano is building a “plug & pay”, horizontally scalable cloud network infrastructure which is said to be currently undergoing initial infrastructure prototype review. There is also the “plug & pay” point-of-sale (POS) platform for vendor & mobile terminals, currently in alpha testing. This is what has gotten people the most excited. There are no dates associated with this timeline though, and the realistic consensus seems to be that it will be awhile before any of this lofty POS integration happens. But in terms of driving adoption, syncing with existing point-of-sale systems could be a game changer and could be the development that allows Nano to take a big bite of Visa, Paypal, and Stripe, etc. There is also a subsection on global markets and the need for better fiat onramps. On the global market front, the team seems to be doing pretty well as a number of exchanges (including Binance) have listed Nano since January. The Nano team is hard at work with industry leaders & partners to provide more storage solutions. Progress is reportedly being made by Ledger Nano S via a community effort and the Ledger team is working on an update to their library to increase the efficiency of the integration. Creating a “new wallet experience” for users is high on Nano’s list of priorities and as such the Nano desktop wallet, along with the iOS and Android versions, are all at various stages of testing. The roadmap also includes mention of “smart cards”, a much-celebrated feature that improves UX through pocket-sized secure authentication and authorization cards. Couple this with POS integration and we get a glimpse of the future where people are using cryptocurrency every day, whether they understand it or not. There is no official status on this particular milestone but once realized, the smart cards will offer numerous benefits: they’re convenient and familiar, they’re secure and inexpensive storage options, and they can easily integrate with infrastructure. Another development people are waiting for with baited breath for is Universal Blocks. Universal Blocks are part of a protocol upgrade that effectively consolidates all Nano block types into one. This will increase the efficiency of the network, help improve security and simplify the code needed to construct a block for developers and exchanges. As the time of writing, Nano Node v11 has been released with Universal Blocks support. This is a big first step as Universal Blocks are a foundational feature that prepares the path for things to come (ledger pruning, for example). Another issue on the protocol front is maintaining vote distribution i.e. ensuring that the network becomes as decentralized as possible and stays that way. Solutions are currently being mulled over to make sure that power is more distributed and that the voting weight of individual nodes remains low. One source recently put the number of Nano nodes at 1,542, which isn’t bad (EOS anyone?) but it could certainly be improved upon. Once an internal proposal review has been completed, a solution will be released to the Nano developer & contributor community for further approval. Nano is also currently contracted with HackerOne, a company that employs white-hat hackers, to test the protocol, desktop & mobile wallets, and other official Nano services to uncover and resolve any security vulnerabilities. One final notable point: the Nano development team has announced a new official block explorer, moving from Nano.org to Nanode.co. Nano has a cohesive plan for the future but in reviewing their roadmap one thing immediately becomes clear, it is still very early in the game. Infrastructure and adoption goals at this scale take years, not months, to achieve — if they’re ever reached. Everything listed on the Nano roadmap is being worked on; there are no “love to haves” on the list — which goes to show that the Nano team is extremely active. If you’re wondering “is it still worth investing in Nano?”, there seems to be 2 general schools of thought. The first recognizes that Nano is not a short-term project and is charitable in the face of obstacles that were always bound to come up. This line of thinking believes that Nano could still be one of the currencies left when others fall by the wayside. It also stands for caution from those fervently preaching the Nano gospel with the (perhaps well-founded) fear that being overly enthusiastic can lead to a wave of disappointment and perceived failure. Unrealistic promotion has the potential to damage any project after all. Finally, this perspective believes that Nano is just a few developments away from getting “back on track” but also that the sluggish market has given devs some much-needed breathing room. This all may be easy to say if you’ve got no skin in the game or bought early, but not everyone was so lucky. The other school of thought is pessimistic, far less forgiving, and generally unsatisfied with things as they currently stand. 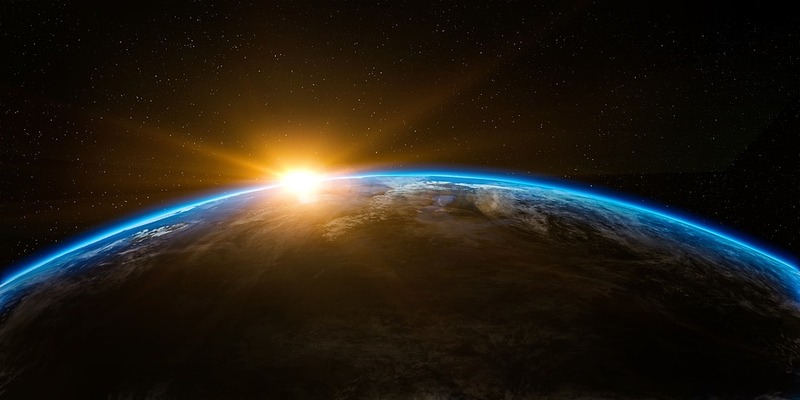 This viewpoint has little patience with the legal issues surrounding wallet releases and is trending toward the conclusion that the Nano core team doesn’t have their priorities straight. This perspective argues that Nano needs better business & operational staff to improve execution. And for anyone who says Nano isn’t a business and doesn’t owe anything to anyone, the retort is close at hand: investors want to make money and people don’t own Nano on some purely idealistic basis. Having large numbers of disaffected ex-holders is not something any project wants. This camp does seem to acknowledge that the bear market is also playing a big role but remains largely aggrieved. This ranges anywhere from disappointed about the price but still believe in the tech, to a complete loss of faith. Which perspective you choose to adopt about Nano is, of course, up to you. In my view, Nano remains one of the most interesting pure currency plays out there and its price doesn’t have much further to fall at this point. If Nano can get their wallets released, upgrades launched and a new speed test published (to reaffirm Nano’s value), this will all help put the Bitgrail fiasco and recent price slump firmly in the rearview mirror. To stay updated on all things Nano, you can follow them on Twitter, Telegram or jump into the conversation on Reddit. Related: Will NEO Have a Smooth Road Ahead? Interesting write up. Just one edit, Nano isn’t an ERC-20 token. It has its own mainnet and uses block lattice (a DAG) as its ledger. Nano is at v13/14 and not v11. – Universal Blocks HAVE BEEN RELEASED already. – Nano NEVER WAS an EC20. It has its own code base. Can anyone explain to me what the long-term business proposition might be from the perspective of the developer team? Increase the value of the 5% coin pool for devs? That is not long-term. Devs need to pay their bills. Who funds that?